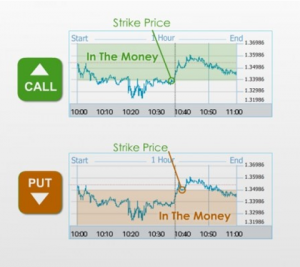 Double up binary options trading strategy. 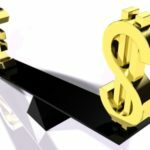 If you have already started dealing with binary options, and you are more than sure that this is the right way to win money, then it might not be a bad idea to take a look at the so called Double-Up strategy thanks to which you will be able to open a second trade that will have identical parameters as the first and original trade. Normally, the broker will deduct a minor commission for such purpose, for example – 20$. Lots of traders are using the Double-Up strategy after observing that their initial trades are going well and they are generating profits. In such case, it is better to seize the moment and exploit the opportunity – in that way you will be able to double the initial investment. Keep in mind that this strategy will be properly functioning only if the original trade is on the go, which means that you are recording in-the-money status. At this point you can consider doubling up your investment and all you have to do is to open second binary option which has to be in the same direction as the initial one. Almost every broker supports this kind of strategy these days. You have performed strong fundamental and technical analyze and you have realized that Facebook will extend its losses after the today’s trading session. In such case you open a new PUT option. After studying the above posted chart, you have probably spotted that the payout will be 510$ (plus the wager) and the refund – 30$. Now all you have to do is to press the Apply button and you will see a figure displaying the main trade parameters. Take a closer look at the graph above. When the position is generating profits a green graph line is displayed and vice versa – if you are out-of-the-money you will see a red graph light. By the end of the trade, it is great time to examine the possibilities that can let you increase your profits and improve the lock-in wins and reward-to-risk ratio. Make sure to focus on losses while performing such tasks. In order to achieve the above mentioned object, there are a couple of actions that you might want to give a try. For example, you can evaluate Double Up and this will activate a trade at the current price by the use of almost the same, identical parameters like the initial position you have already opened. In the described scenario here, a second PUT option will be opened based on Facebook. The maximum loss that you can generate (after opening the second position) is 600$. However, it is highly unlikely for this to happen within the next 10 minutes (since you open this position 10 minutes before the closure). Particularly, this trade is strongly supported by economic and fundamental considerations so the chances of such event are almost 0 percent. If you use Double Up the maximum profit you can generate will be 1020$ plus deposits while the maximum loss – 60$ providing the ratio for reward-to risk of 420$:60$ or said in other words – 7:1. This value itself is truly impressive because experts recommend seeking 3:1 or higher. Another binary option strategy that you can use is pairing. However, it is better to use Double Up simply because in such scenarios it is the recommended strategy. As you can see, when the expiration hit, both of the trades were generating loss and therefore a profit of 1020$ was collected. This result has been achieved by carefully obtaining the loss potential. Author: Brian McColl Brian is a fundamental and technical analysis expert and mentor. Brian has been a part of the Forex and stock markets for more than ten years as a freelancing trader.